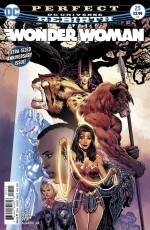 * Kyle Pinion on a number of DC's comics including Wonder Woman #25. * that very good writer about comics Ken Parille writes an appreciation of the work made by Leslie Stein, a very good maker of comics. * Ted Rall is unable to find a lawyer after his previous lawyers quit on his suit against the LA Times. If he doesn't get a continuance or find a lawyer willing to take on the case, he may represent himself in court. * not comics: the great Josh Cotter talks about his media rights developmental deal for Nod Away. * finally, listen to some advice from working cartoonists.